For some, sleep comes easy. But as you've heard me whine, sleep is not my strength. In fact, you may have witnessed my TV debut post media relations today where I went as far to try melatonin in a bottle. Fail. But my friends, there is an answer! And it comes in the form of little brown bottles (not to be confused with beer, though I think there is a high probability if done in moderation this could also couple as a solution). And if Fox hadn't cut out all the slightly intelligent parts of my interview where I promoted these guys, I wouldn't have to put it in writing, but I digress. Apply these oils to my heels and take in a deep sniff and I'm good to go. Cleaning up my habits such as avoiding screens at least an hour before bed and playing white noise is a perfect marriage. When I'm ready to take the plunge, diffusing these in our master will certainly knock out that quick 4 a.m. waking that just won't go away. We've also ventured into the respiratory blend for the wee one with many sniffles and lavender for moments that require more calm (ahem - an entire day of travel coming up). I've only dipped my toe in - there are so many options and mixes that can improve health and avoid the cost and influence of over the counter medicine. And though I'm a proud supporter of these (I am in healthcare after all), I was more than happy to shed my sleeping pills and their side effects and limitations for these that are affordable and gave me my life back. I'm a believer, for sure. Holler if you want to sample anything I've got or I'll connect you with K, a dear, no-pressure friend who cares about you as much as you do about yourself. I can't wait to see what's next for oils for me and my family and for you. How there is so much power in a little brown bottle, I'll never know, but I will continue to hit it. Megs, I'm soooo into this too! My SIL brought some TerraShield to my house Memorial Day Weekend. I promptly bought 2 bottles and have making DIY bug spray. Sooo thankful b/c bug spray/wipes/fans smell so gross and make me feel sick. 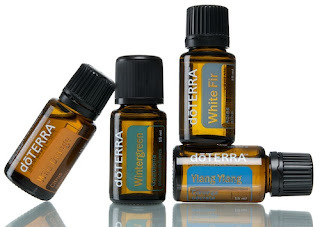 I just purchased the Physicians Kit from doTERRA and have been having so much fun with the different applications of these oils. Thanks for the "ambien" recipe. I'll give it a try tonight! Hope you don't mind. 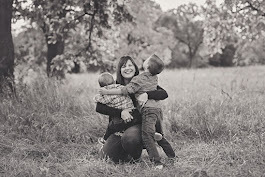 I mentioned you (well, linked to your post) in a post in my new blog, ChezD Acres. If it's an issue, let me know and I'll fix ASAP.